I coached a team of 7 girls, all Girl Scouts with the Girls Scouts of Northern IL, all fourth grade students at Da Vinci Academy in Elgin, IL. The Girl Scouts of Northern IL had received a generous grant from the Motorola Solutions Foundation to sponsor this kind of STEM activity for girls (please tell me you know what STEM stands for. Please? Okay, I’ll tell you *again* — Science Technology Engineering Math. Sometimes you’ll see it with an “A” for arts added, to make it STEAM. It’s a shorthand way of referring to these kinds of sciency techy mathy things, particularly as it relates to kids.) The girls’ school, Da Vinci Academy, provided us the space for meetings and opportunities for mentoring from the experienced FLL Coaches who coached two Da Vinci middle school teams this year. 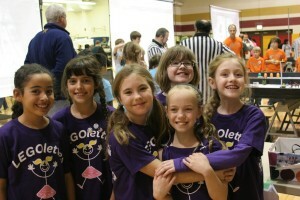 FLL is a great organization – you should read about their mission and goals. A quick overview/summary that in no way does the organization justice is that they want to get kids (ages 9-14 in the US/Canada/Mexico. Ages 9-16 globally) excited about science and technology. Hey wait a minute. *I* want to get kids excited about science and technology! That’s why I write science fiction for kids. This is what we call a win-win. Wintastic. Wincredible. Windelicious. At some point I’d love to delve into the details of this great team of fourth graders and their enthusiasm and excitement as we went through the process of learning what the competition required and how to program the robot. The exciting thing was when we were invited by Kim Moldovsky, The Maker Mom, to appear on WGN – TV (a local Chicago TV station with wide syndication to other markets. Where else would you find your reruns of The Jeffersons and Family Ties and broadcasts of the Cubs?) during National Robotics Week. Here is Kim’s post after our shared appearance. The studio was small, so we brought two of our seven girls. 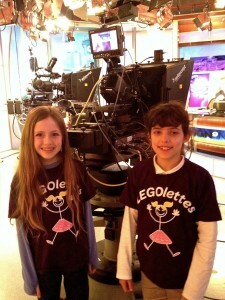 They did a fantastic job, though they also learned a bit about how fast time passes on television. And how sometimes you don’t get a chance to say what you meant/wanted to/say anything at all. And about how the robot doesn’t always do what you want it to (in fact, this plagued the girls during the competition, too. 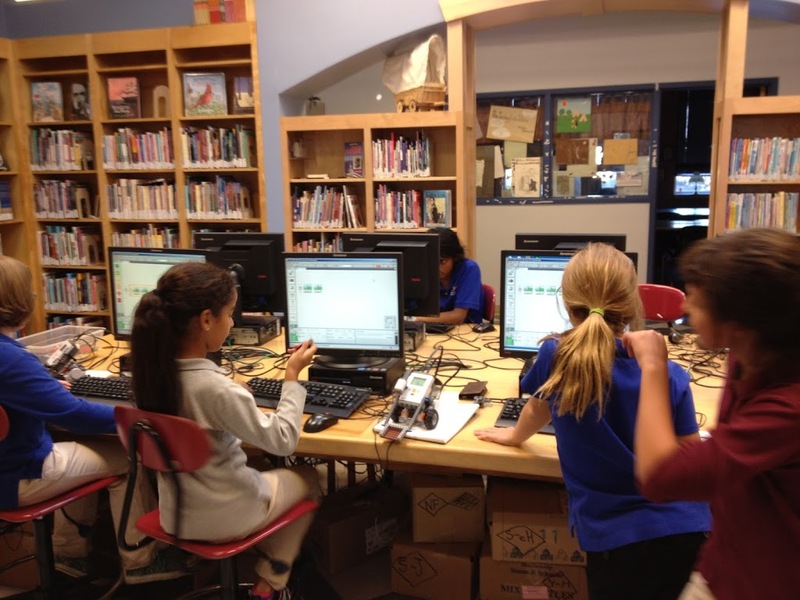 Learning to handle the frustration with grace is, to me, one of the better lessons the girls learned through their participation in FIRST LEGO League.) And a special bonus, the girls got to watch the news anchors do the newscast, and discovered that the cameras that shoot the news anchors at their desks are all ROBOTS! So please enjoy this clip, and if you have any questions about robotics in general, the FLL in particular, girl scouts, awesome girls, coaching a group of kids on a science/tech kind of endeavor, or anything, ask in the comments! Thanks, and enjoy!